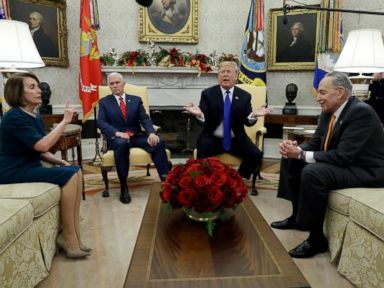 The Republican whip in the House of Representatives said Sunday that House Speaker Nancy Pelosi and Democratic Leader Sen. Chuck Schumer “don’t want to reach a solution” on the shutdown, saying that “not one single time” have the congressional leaders given a counteroffer to the president and Republicans who are negotiating to reopen the government. 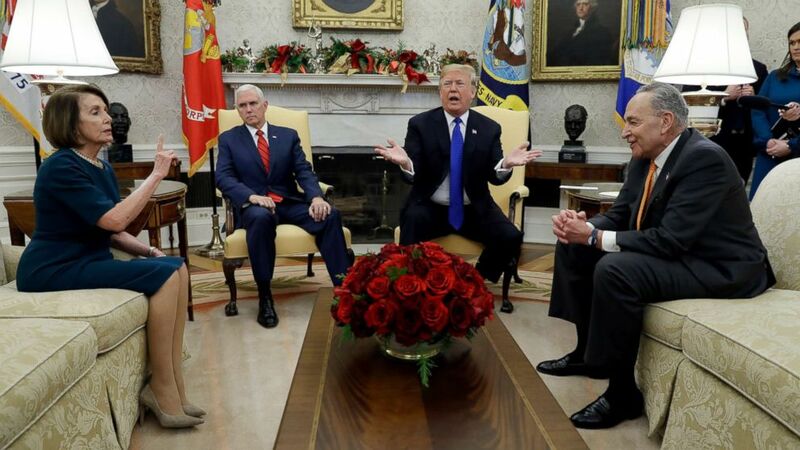 “Not one single time, George, has Nancy Pelosi or Chuck Schumer put a counteroffer on the table except a dollar. Nancy Pelosi said a dollar. That’s not serious, we all know that. It’s time for them to come to the table,” the congressman said. The current partial government shutdown became the longest in U.S. history on Saturday, surpassing the 21-day record from the Clinton administration. There are no apparent prospects for a deal between the president and Congress to reopen the government as they continue to disagree on funding for a wall along the U.S.-Mexico border, one of Trump’s signature campaign promises. Trump has maintained he wants $5.7 billion for border security, which would include funding for the wall. “Ultimately, they don’t want to reach a solution,” Scalise said of the Democratic leaders. However, on Jan. 3, the newly sworn-in, Democrat-majority House of Representatives passed appropriations bills to fund the government, with one additional measure extending funding for the Department of Homeland Security at current levels, but providing no additional money for the border wall, until Feb. 8. On Thursday and Friday, the House passed more funding bills that would reopen key agencies, including the IRS, Environmental Protection Agency and departments of Treasury, Interior, Transportation and Housing and Urban Development. The White House has signaled the president would veto these measures and the bills are expected to stall in the Senate because Majority Leader Mitch McConnell has said he will not hold a vote on anything that the president is not going to sign. 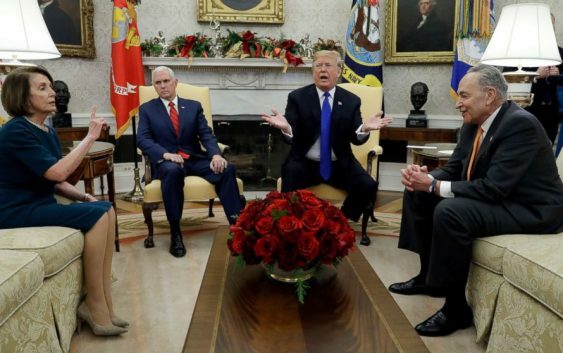 According to an ABC News/Washington Post poll published Sunday, a majority of Americans — 53 percent — blame Trump and congressional Republicans for the partial government shutdown, 29 percent blame congressional Democrats and 13 percent blame both groups. There are significant differences depending on political affiliation. Among Democrats, 85 percent blame Trump and congressional Republicans for the shutdown, while just 6 percent blame congressional Democrats. Among Republicans, 15 percent blame Trump and congressional Republicans, and 68 percent blame congressional Democrats. Additionally, according to the poll, support for the wall has increased, with 42 percent now supporting it compared to 34 percent a year ago. “You can call it a wall. You can call it steel slats. The name’s not important,” Scalise said. “It’s the strength and ability to secure the border in between our ports of entry. Trump tweeted on Saturday that he has a plan to end the shutdown. Stephanopoulos asked Scalise on “This Week” if he knew what that plan was, and if he supports the president declaring a national emergency, which Trump has suggested he would do if a deal can’t be made.